"Black Men in Higher Education is a clarion call to those of us in the academy to assume greater responsibility for Black men's success. [It] is a significant contribution to the student success literature in several notable respects. It is one of the few books that accounts for what happens to Black males at all the critical junctures of their educational journeys,…[and]it advances an institutional responsibility agenda. New theoretical concepts that can enhance our understanding of how institutional contexts and the interactions that take place within them influence student success for Black males are offered, as are strategies for recruiting and retaining them." 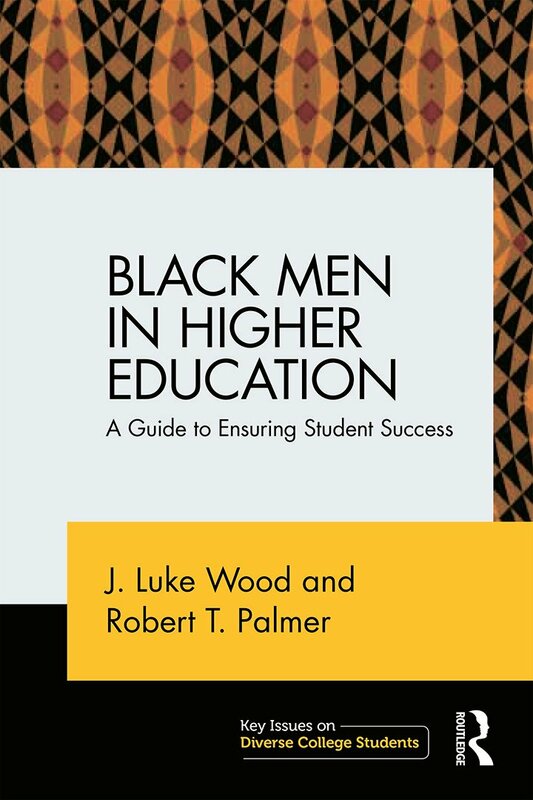 "Wood and Palmer are highly regarded experts on Black male student success in higher education – this book solidly reflects their expertise. Educators and institutional leaders who are committed to improving Black men’s college experiences and outcomes will find much guidance in this text." 1. Framing the Context: Examining the Status of Black Men in Higher Education. 2. Factors Affecting the Success of Black Males in PreK-12 and Higher Education. 3. Theoretical Frameworks for Examining Black Men in College. 4. The Context, Actions, and Outcomes (C-A-O) Model of Institutional Responsibility. 5. Using the C-A-O Model to Guide Institutional Responsibility Research on Black Men. 6. Strategies for Recruiting and Supporting Black Men in Higher Education. J. Luke Wood is Associate Professor of Community College Leadership at San Diego State University, USA. Robert T. Palmer is Associate Professor of Student Affairs Administration at the State University of New York, Binghamton, USA.